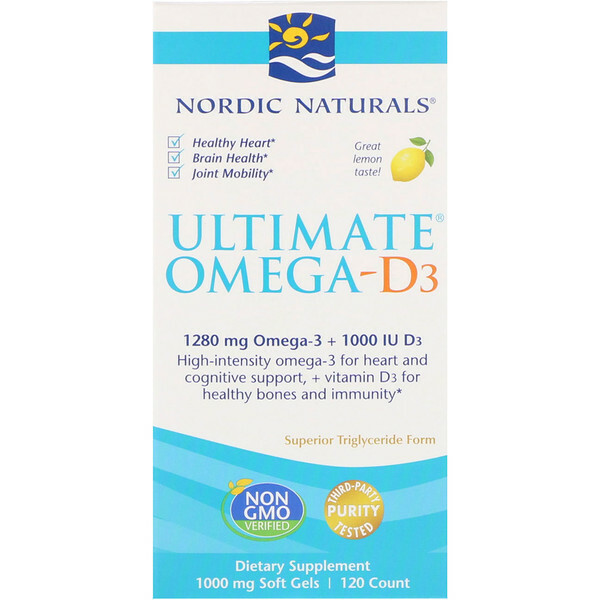 High-intensity omega-3 for heart and cognitive support, + vitamin D3 for health bones and immunity. 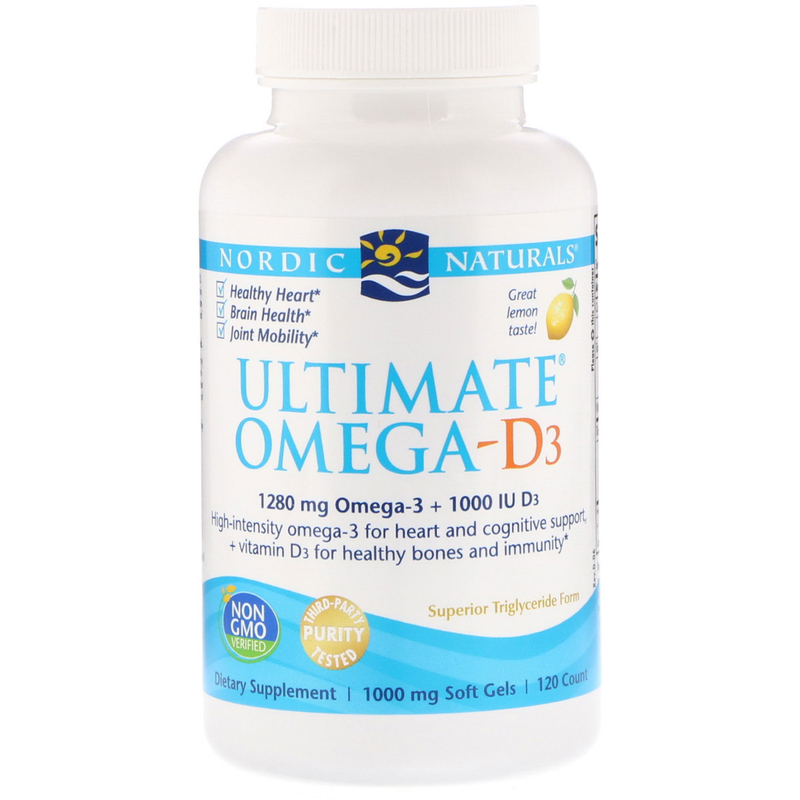 The #1-selling omega-3 in the U.S.♦, with added vitamin D3. With concentrated levels of omega-3s, and 1000 IU vitamins D3 for additional bone, mood, and immune support, ultimate omega-3 promotes heart and brain health, joint mobility, and optimal wellness. Wild caught. Pure. No fishy aftertaste. Friend of the Sea certificated. Nourdic Naturals Omega-3 Fish Oil committed to the health of our oceans. Removes impurities & environmental toxins (like heavy metals, such as mercury, PCBs, & dioxins). 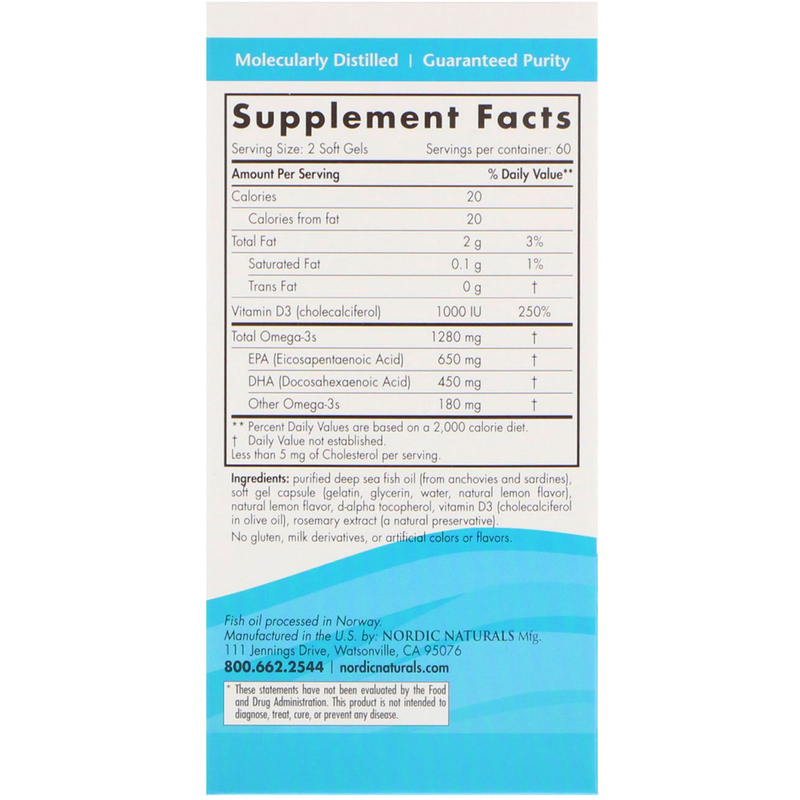 Purified deep sea fish oil (from anchovies and sardines), soft gel capsule (gelatin, glycerin, water, natural lemon flavor), natural lemon flavor, d-alpha tocopherol, vitamin D3 (cholecalciferol in olive oil), rosemary extract (a natural preservatives).